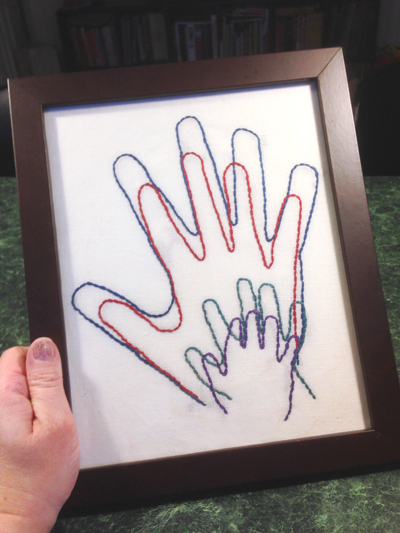 If you are looking for a last minute Mother’s Day gift to make, I’d suggest a simple embroidery of your family’s handprint. After seeing this project on Pinterest last fall, I made one for my Mother-In-Law, and it was a big hit. It was very easy to make. 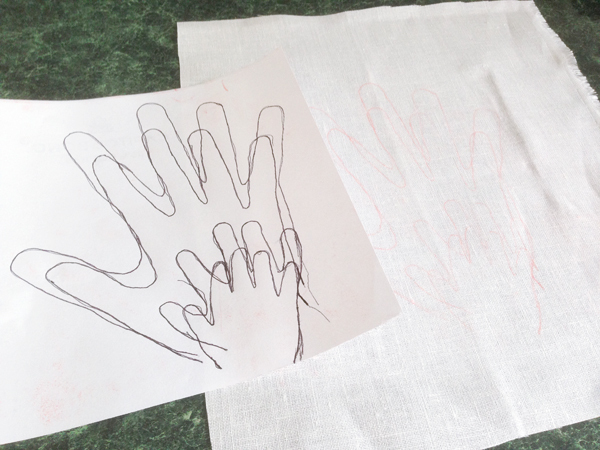 I traced each of our hands onto one sheet of paper, then used sewer’s tracing paper to mark each handprint on my fabric. 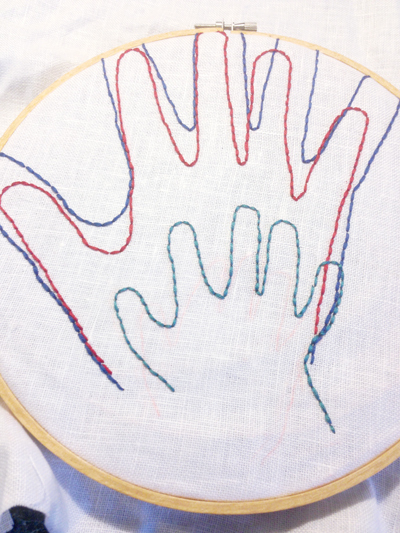 I used a simple backstitch for each outline, and the whole project was finished fairly quickly. 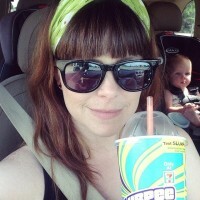 Add a frame, and prepare to make mom cry, in a good way. Thanks to Detroit Mommy for posting this originally on Flickr!